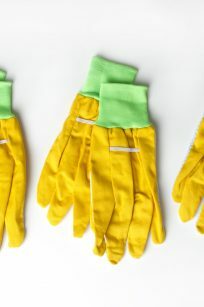 Our cotton Gardening Gloves have just enough stretch and rib-knit wrists to provide a comfortable fit. PVC dots on the palm and underside of the fingers help to prevent objects from slipping out of the hands. Colorful yellow with green cuff, and they’re machine washable, too. 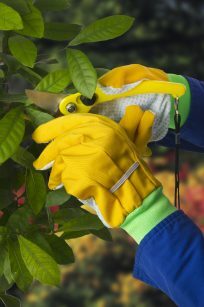 Our cotton Gardening Gloves have just enough stretch and rib-knit wrists to provide a comfortable fit. PVC dots on the palm and underside of the fingers help to prevent objects from slipping out of the hands. 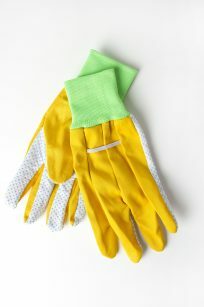 Colorful yellow with green cuff, and they’re machine washable, too. Handy three-pack so they’re always available. Just about every gardener wants more places to plant flowers and herbs, and patios, decks, and porches provide just those areas. 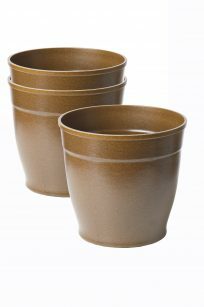 The perfect pots for these locations are our Bio-Degradable Rice Hulls 8” Patio Pots. 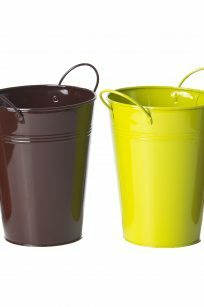 The perfect size for many planting needs, the pots are made of rice hulls with bio-degradable adhesive and food coloring pigments. Pots will begin to degrade in 12-18 months and are compostable. Just about every gardener wants more places to plant flowers and herbs, and patios, decks, and porches provide just those areas. 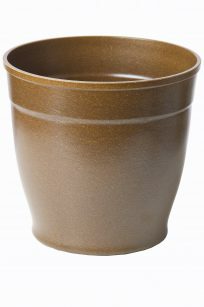 The perfect pots for these locations are our Bio-Degradable Rice Hulls 8” Patio Pots. 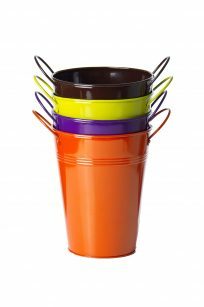 The perfect size for many planting needs, the pots are made of rice hulls with bio-degradable adhesive and food coloring pigments. Pots will begin to degrade in 12-18 months and are compostable. Group all three pots together to unify different plantings, or use each in a different area. Popular red brick color pots and matching saucers. 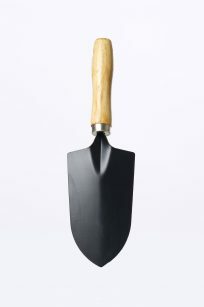 Make gardening chores easier with our Black Metal Hand Gardening Trowel. 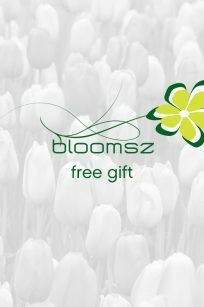 The powder-coated, lead-free blade makes digging and smoothing soil, planting and transplanting, and even dividing perennials easier tasks. 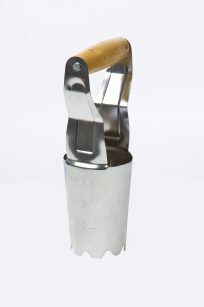 You’ll find it especially useful for filling in soil around plants placed in pots and containers. The sustainable hardwood handle has a convenient hole near the top for easy hanging. 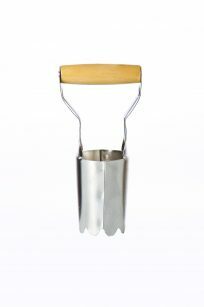 Make planting bulbs, annuals, and other small plants simple with our easy to use, Heavy Duty Chrome Metal Bulb Planter. The smooth, sustainable hardwood handle is easy to grip. 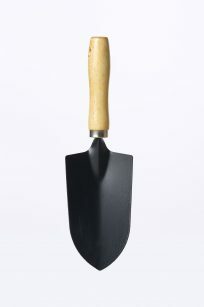 The serrated edge makes inserting it into the soil almost effortless, and the cone shape grabs and holds the dirt. Convenient depth markers let you know just how much soil you’re removing. Add a colorful touch to patios, decks, porches, and balconies with our set of four pots in nature-inspired hues. You’ll receive four pots 5.5” in diameter and 7” tall, one each in green, plum, orange, and cappuccino. Just think of all the ways you can use these pots…match flowers to the pot’s color; contrast the color of the pot and the blooms; give them as gifts that you’ve planted with selections from your garden – just to name a few.